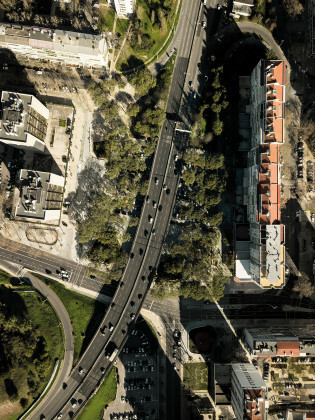 Till mid of the 20th century, the site area was a farming territory in Benfica, northwest Lisbon. A water stream (Ribeira de Alcântara) provided plenty water to assure fertile lands. Water streams and fountains were a landmark. Fonte Nova (New Fountain) became the popular name from witch the area was known. 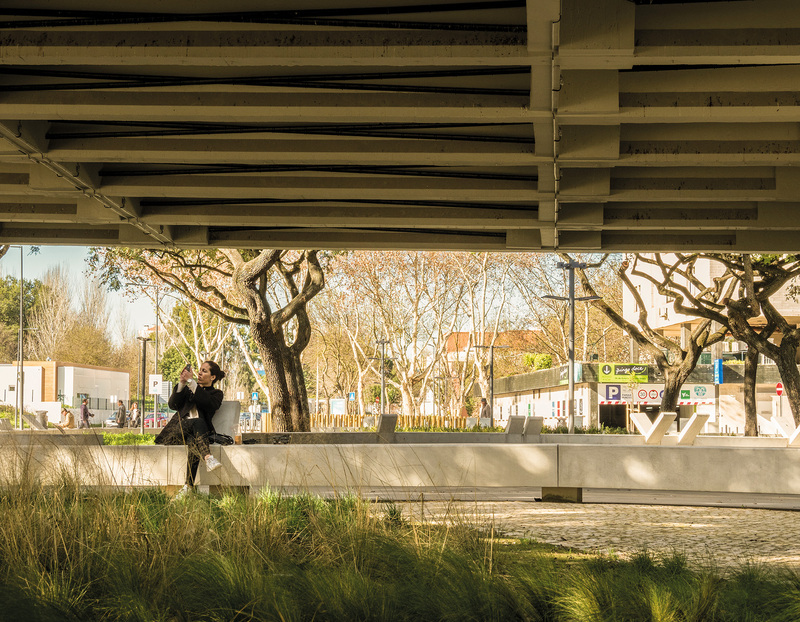 The site was crossed by an important road in Lisbon’s urban fabric: Estrada de Benfica. In the 60s, the radial city road (2a Circular) was built. A flyover of 2a Circular divided the site in half. This condition had a big impact on the area: the farms were destroyed and the continuity of the local roads and pathways was broken. Over the years, the site became a parking lot that covers all the space available. For 50 years, the massive presence of parked cars was the main feature of the site. 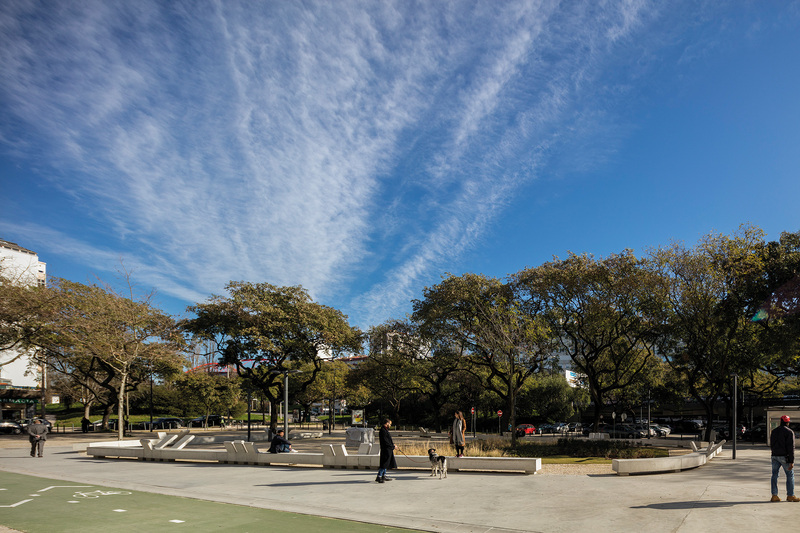 In 2015, Lisbon City Hall released an urban development master plan to improve the neighborhood’s squares. 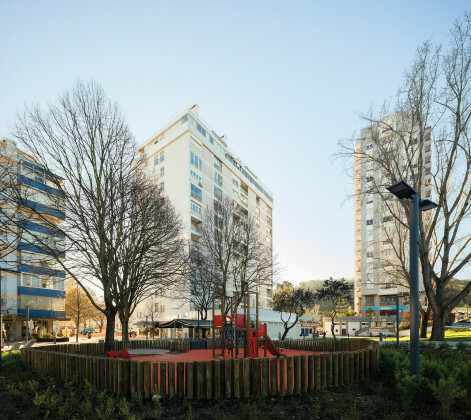 The project is called “Uma Cidade em cada Bairro” (One City in each Neighborhood). 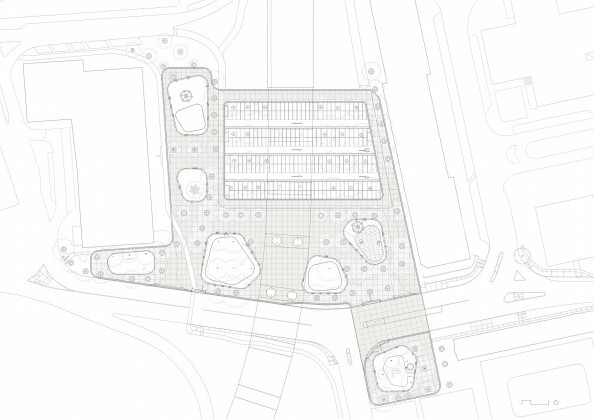 The project area was 3.5 hectares and the strategy was to define an extended paved area that aimed to reestablish the connections lost when the parking lot and flyover was built. 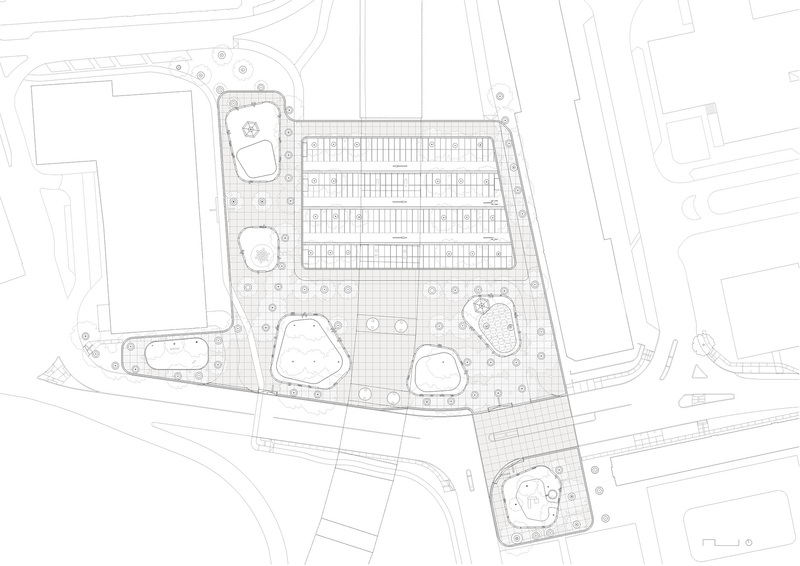 This operation was an opportunity to reduce the parking lot area by 50% in favor of soft mobility and leisure spaces. The project is planned to be attractive to people from all ages, to be inclusive, friendly and casual. The use of space can be active or contemplative. The public space should be easily understood by all. 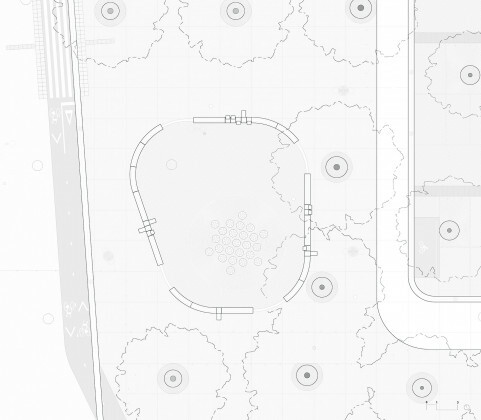 The square design takes advantage of the existing trees – Tipuana tipu. The forest has been conserved, keeping all the specimens, giving them room to grow. Shadows of the trees and clearings became an important site feature. 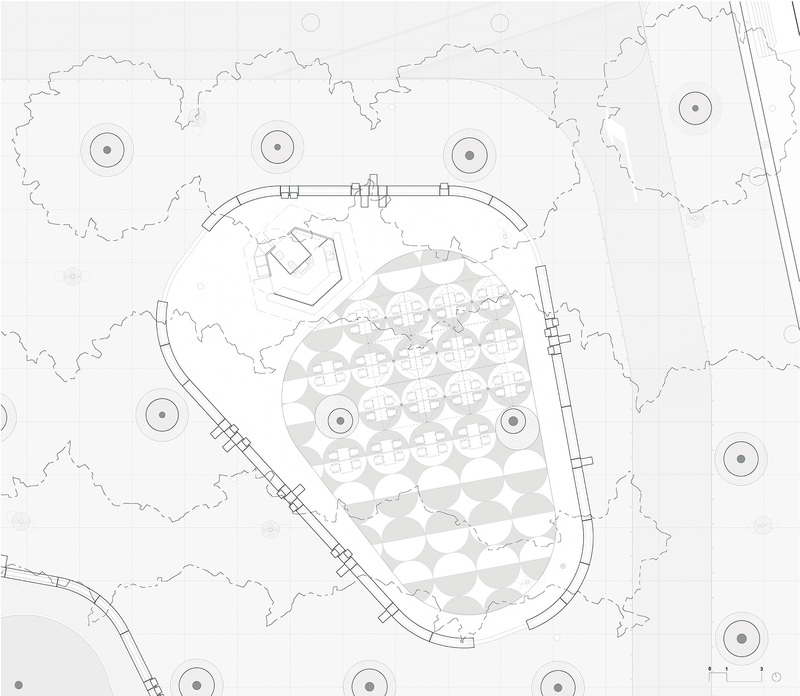 The pavement is concrete and in specific locations it’s punctuated by leisure spaces in the form of “islands”. Inside each of these “islands” different activities can take place. 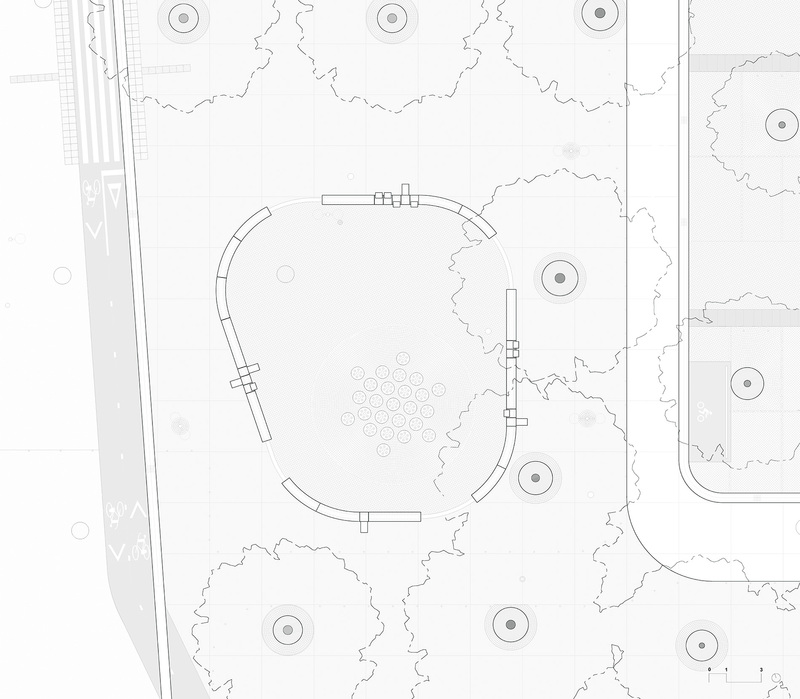 There are kiosks and terraces, a fountain, a dog park, a playground and two garden areas. 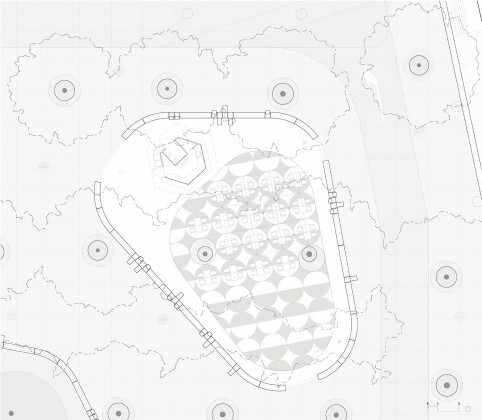 The island forms are limited by concrete bench boundaries. There are 4 bench types: straight, curve and two types of individual seats with different back angles. The area covered by flyover is lit during the night allowing 24 hours of multiple activities, protected from sun and rain. The materials are resistant and easy to maintain. 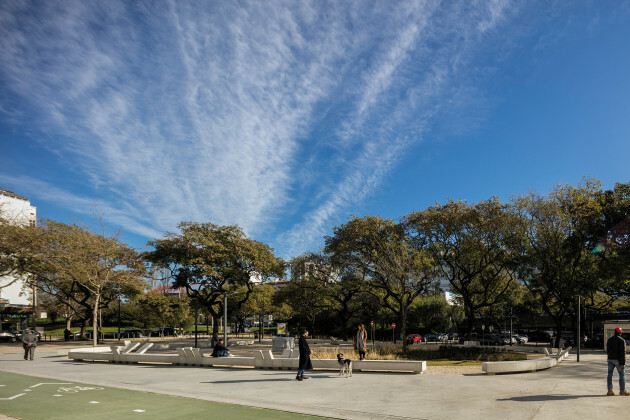 The choice was to use materials common in Lisbon’s public spaces like the popular “vidraço” stone or granite that is suitable for each activity. In many cases, it was possible to clean and reuse pavements found onsite, like in one island where a pavement from 60s was totally reused. The road lanes have been modified: the car lane widths are reduced to a lower car speed and the bus lanes were planned for better performance. The sidewalk width is increased for pedestrian safety, comfort and special mobility needs. 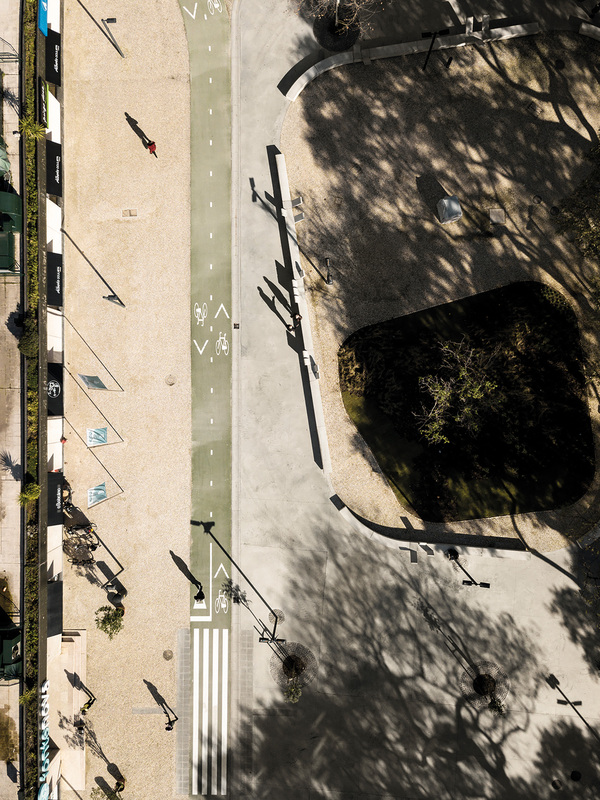 A bike lane is implemented and it is connected to Lisbon’s bike lane network. Because of the intervention area with a large extension, the construction works were carried out in different phases. 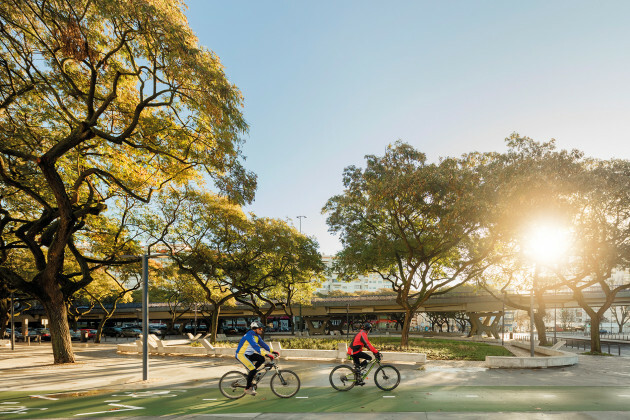 This strategy allowed, on one hand, to decrease the impact of the works in the user’s daily lives; on the other hand, it was possible for the users to gradually get to know the renovated space and use it. Pedestrian circulation has become more fluid and safe, protected and away from the car circulation. People gather around the islands, sitting on the benches. The islands are perceived as visually interesting. Depending on the weather, people, alone or in groups, look for shaded or sunny areas to sit. When alone, people tend to read or relax under the trees. 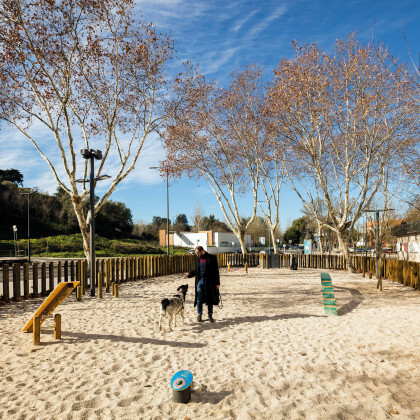 The benches around the island areas, the playground, dog park, and the coffee terraces has become gathering spots. For night use of the public space, a new system of LED lighting is installed. A warm color faces the ground and a cooler tone faces the tree’s crowns. The new street light system, especially in the flyover area, has improved the sense of safety and more and more users from all ages begin to use the space in evening and night. 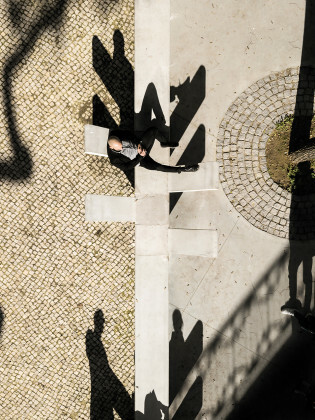 Before the intervention, the neighborhood lacked a public space for social interaction. 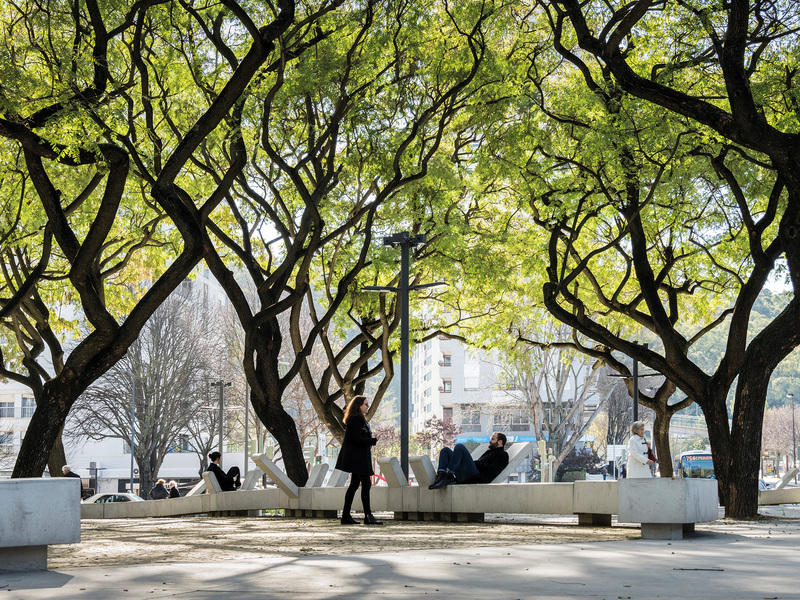 Praça Fonte Nova is gradually becoming that space – a space that welcomes all, a place of freedom and safety, where a sense of community takes place. It was founded in 2002 by José Adrião who was born in Lisbon in 1965. 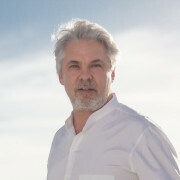 He graduated from the Architecture Department of the University of Porto in 1991 and completed his master's degree in 2002 at Metropolitan University of Catalonia Polytechnic University. José Adrião Arquitectos collaborate with engineers, landscape architects and visual artists. They focused on producing spaces which are heterogeneous, inclusive, informal by developing non-normative suggestions and working on different scales as housing, vehicles and service.